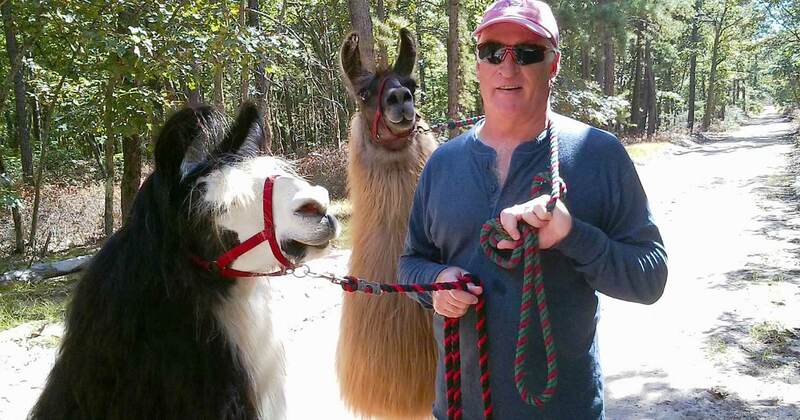 Second Wind LLama Adventures – Walking with a llama is good for the soul. Walking with a llama is good for the soul. “The mind/body/nature connection, also called Vitamin N (for nature), will enhance physical and mental health”. 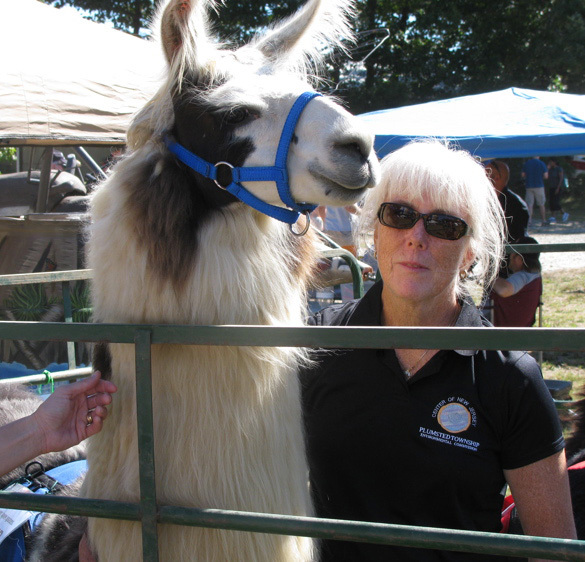 Welcome to Second Wind Llama Adventures! We invite you to spend some time with us to enjoy nature, relax and have fun. My name is Bev Vienckowski and my passion is farming. Second Wind is a small farm where we have llamas for their fiber and for companions on llama hikes. We grow vegetables in season. Our chickens reward us with beautiful eggs. Our 3½ acre farm is in New Egypt, Ocean County, New Jersey. It’s just a short walk to the Colliers Mill Wildlife Management Area (WMA). Come meet five fabulous friendly faces! 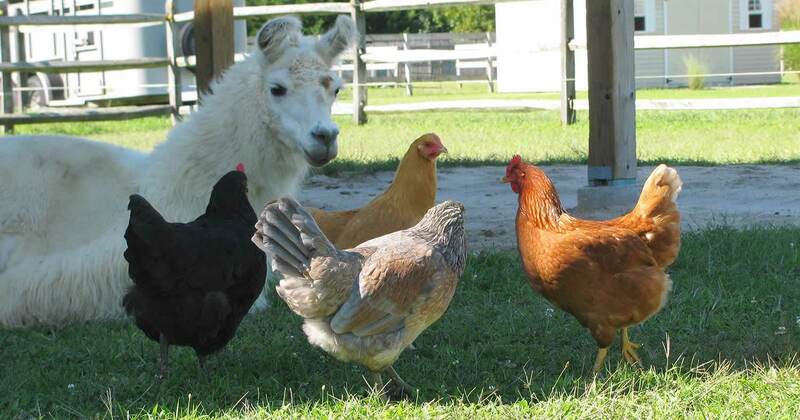 Choose your own unique Llama Adventure! 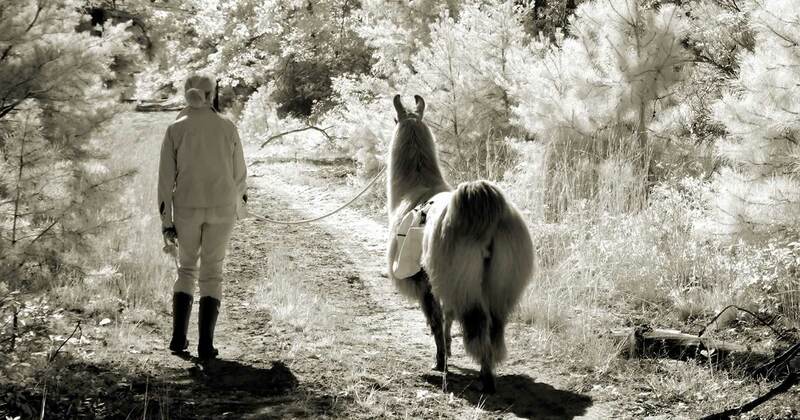 From a Meet the Llamas haltered walk inside the pasture to a 2 1/2 hour walk along the Cranberry Bog Trail, your adventure will be a special occasion. The walks and farm visits are suited to all ages, from children to seniors. Customized and educational visits are also offered. 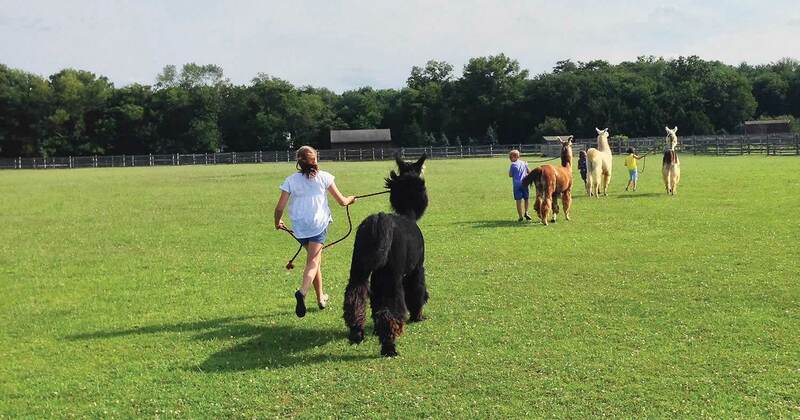 What happens during the llama walk? 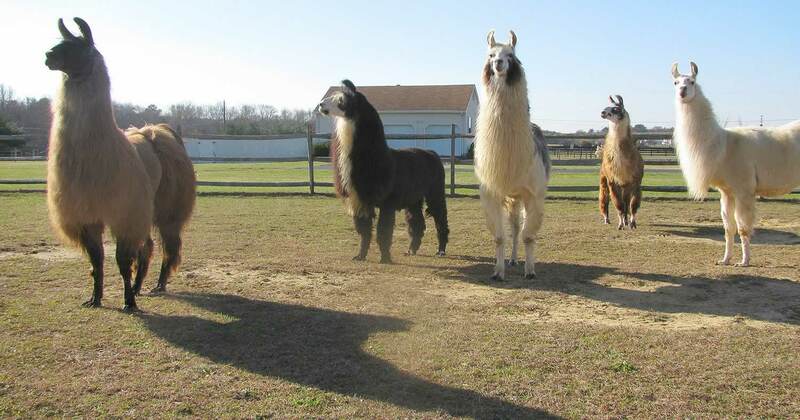 The most important thing for me is to make sure you feel safe with the llamas, and they with you. We consider our time frame, the weather and the fitness of our visitors before choosing the length of the walk. 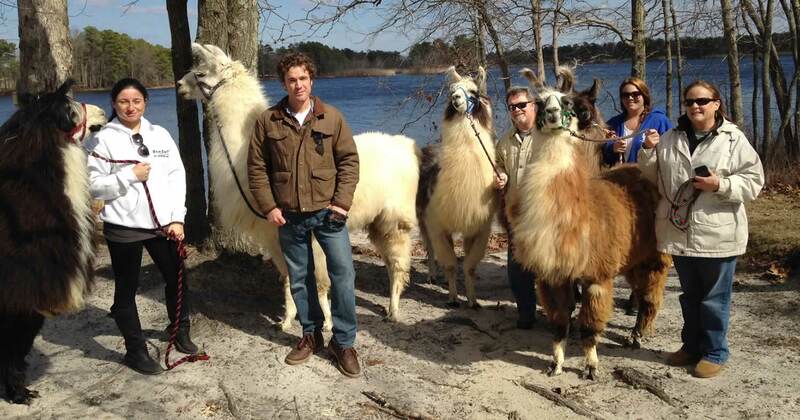 For most walks, we will put a pack on one or two llamas to carry water bottles, snacks, extra gear or clothing. Everything we carry in we must carry out. Learn more, check our calendar and contact us to schedule your visit today. Download and print the Second Wind Llama Adventures flyer.